Oh, the places we will go! : Oh, the Places we will go in 2016! Oh, the Places we will go in 2016! I realize that all travel bloggers do this kind of post and if I'm honest I tend to skim through them a bit. But it's one of my favorite things to do, looking back at the places we've been in the past year and planning a whole year's worth of new travel. I really document all of this for personal reasons, so don't feel bad if you just skim through this post. 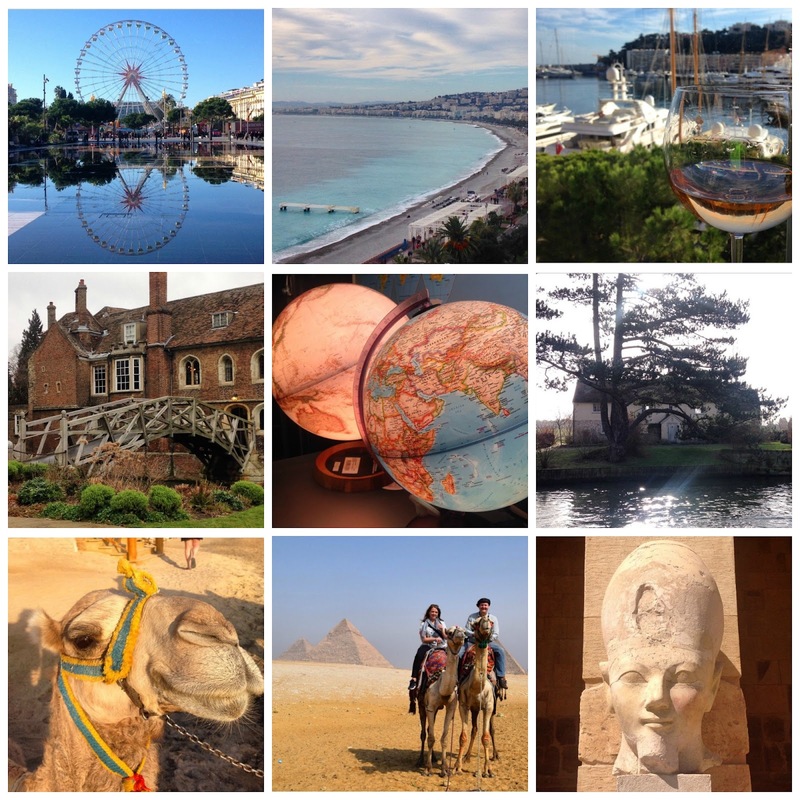 After writing about what a difficult year I had in 2015, I must admit it was one of our best years for travel. The year started with our anniversary/birthday trip to Nice, France with an excursion to Monaco. We then said goodbye to our car with one last road trip to Horningsea and Cambridge. Next was our big trip to Egypt which was life changing. I actually still have three more posts about Egypt that I'm determined to get posted this month. 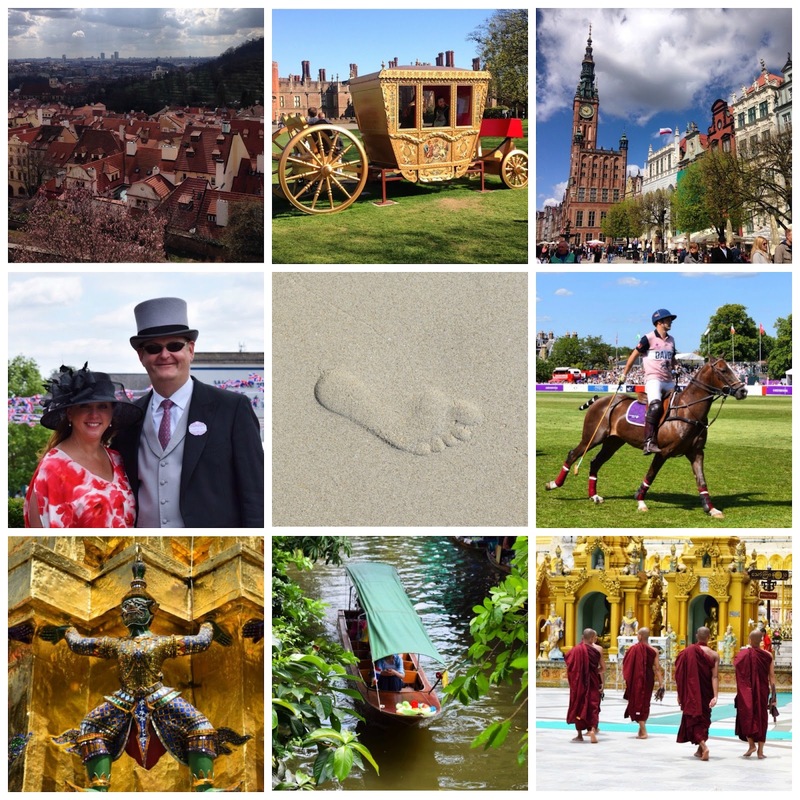 We had two city breaks, one to Prague, Czech Republic and then Gdansk, Poland. We also thoroughly enjoyed our summer in London with excursions to Hampton Court Palace, a day at Royal Ascot, a polo game and a walking tour (you'll read about that later this week). Thailand was our other big trip of the year which was a dream come true. We also spent a few days in Myanmar. I'll be posting about this trip very soon. Another weekend excursion to Guernsey and Herm, two of the Channel Islands. I spent August in Texas with my family which was so needed. It was also when we welcomed our new grandson into the world. 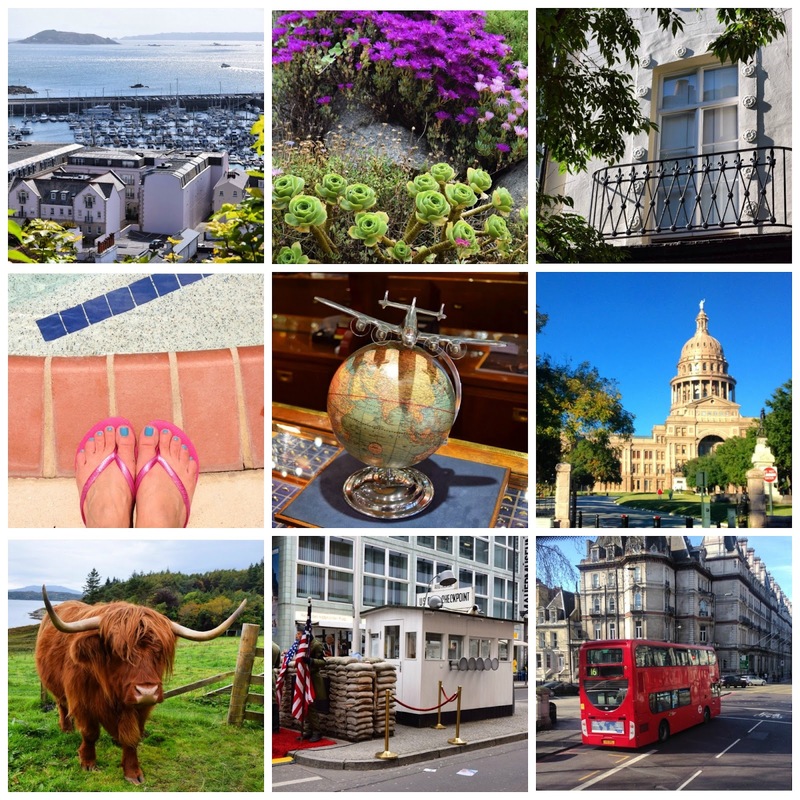 A day in Hamburg, Germany and a wedding weekend in Edinburgh, Scotland with a side trip to Oban came next. I spent Thanksgiving back in Texas and we rounded out the year with a trip to Berlin, Germany for the Christmas markets. If not for friends, family and the joy of travel, this year could have been much worse. I absolutely take joy from that. On this dreary dark day in January in London, planning our travel for the new year is definitely a bright spot. We're off to Malta this weekend to celebrate our five year anniversary and Matt's 45th birthday. I can't wait to get there. I'll then be out of commission for a few months as I'm having a hysterectomy in February. As soon as the doctor gives me clearance to fly we will be off again. An Explore! Journey through the Balkans tour including Croatia, Serbia, Montenegro and Bosnia Herzegovina has been on our wishlist since 2014. We're hoping to make that a reality this year. We're not sure about our other big trip just yet. I'm turning the big 5-0 this year and I've told Matt I want to spend it on a beach with a cocktail surrounded by crystal blue water. We are both eager for a cruise as it's been too long. We're also both anxious to get to Southeast Asia again as soon as possible. Or maybe The Seychelles or Maldives or the Caribbean. There are lots of exciting options and we haven't yet decided. I'm still hoping to hit my 50 Countries by 50 goal! Malta will take me to 44 so then only 6 more before September. We'll see. Of course we will pepper the year with as many city breaks and extended weekends as possible. My wishlist includes Florence, Bellagio, Istanbul, Budapest, Positano, Dubai, New York, Seville, and Ljubljiana. (Dream big, I say!) Hopefully, we can squeeze in a few of them. We've also really missed having a car this year and all of the UK exploration that it allows. So, we will likely be remedying that soon. This blog has been around for four years now. I can't believe it. Unfortunately, 2015 was a slow year with about half as many posts as the previous years for various reasons. I'm really hoping that in 2016 I can bring it back to where it was. I've missed the writing and especially the blogging connections. Thanks so much to those of you who've stuck around. I'm looking forward to what the new year brings. What are your travel plans for the new year? I promise not to skim!